After the people of Isle de Jean Charles won a grant to move, they were dubbed "America's first climate refugees." But other U.S. communities — all in Alaska — have been called the first climate refugees. And researchers say subsidence, not climate change, has been the main problem for Isle de Jean Charles so far. After the people of Isle de Jean Charles won a grant to move, they were dubbed “America’s first climate refugees.” But other U.S. communities — all in Alaska — have been called the first climate refugees. And researchers say subsidence, not climate change, has been the main problem for Isle de Jean Charles so far. To start, Isle de Jean Charles isn’t the first. Although the grant called for “innovative community responses to the devastating effects of climate change,” several villages in Alaska have been labeled “America’s first climate refugees” as far back as 2013. One is already in the process of relocating. The Isle de Jean Charles community has yet to settle on a new location. After all, the island rests on a sediment-starved delta that is one of the fastest-subsiding coastal landscapes on the planet, which sank more than three feet last century. Over the same period, sea level rise, the most visible result of climate change, averaged only about 6.5 inches. It has increased since 2000 and will become the main problem facing the island in the decades ahead. Once those mud walls were raised to protect cities, the Mississippi River was blocked from replenishing the delta, guaranteeing all of Southeast Louisiana would eventually sink below the Gulf. Yet if that’s all humans had done, experts have said, most of the wetlands and ridges that existed in the 1930s when those levees were built would likely still be intact today. But that’s not all we did. Research has showed the oil industry was a major cause of the rapid sinking and erosion of the Louisiana coast between 1932 and 1980. Ten thousand miles of canals were dredged to reach drilling sites, and the withdrawal of those hydrocarbons caused subsurface layers to compress. Isle de Jean Charles was in the heart of an area that lost more than 80 square miles of wetlands a year during the height of that activity, from the 1950s to the 70s. Although researchers agree subsidence, and all of its causes, is the primary reason the people of Isle de Jean Charles must move, they also agree that sea level rise has magnified its problems – and it will be the major issue going forward. While sinking is slowing in many areas, sea level rise is expected to increase rapidly in the decades ahead. Even a small increase in sea level results in larger, wind-driven waves hitting the shoreline, increasing and accelerating erosion, said Jim Pahl, senior coastal resources scientist at the Louisiana Coastal Protection and Restoration Authority. Hurricane storm surges amplify the impact of those small increases. Such waves cause sudden land loss when hurricanes drive storm surge onto the coast. 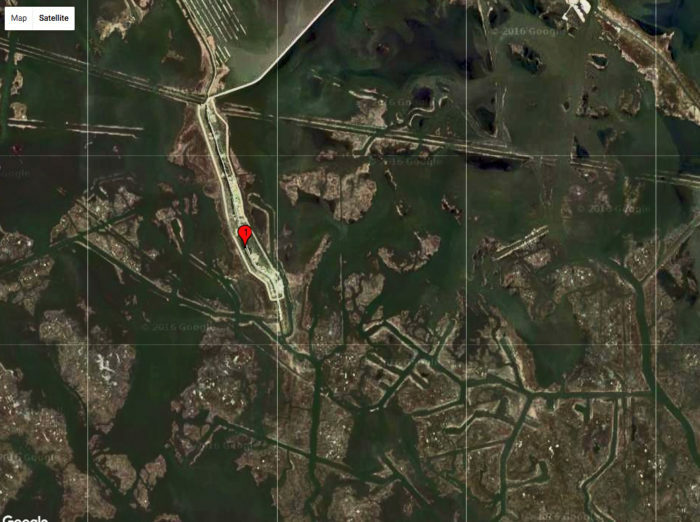 Louisiana lost more than 200 square miles of coastal wetlands during hurricanes Katrina and Rita in 2005, far more than would have been lost that year to subsidence alone.